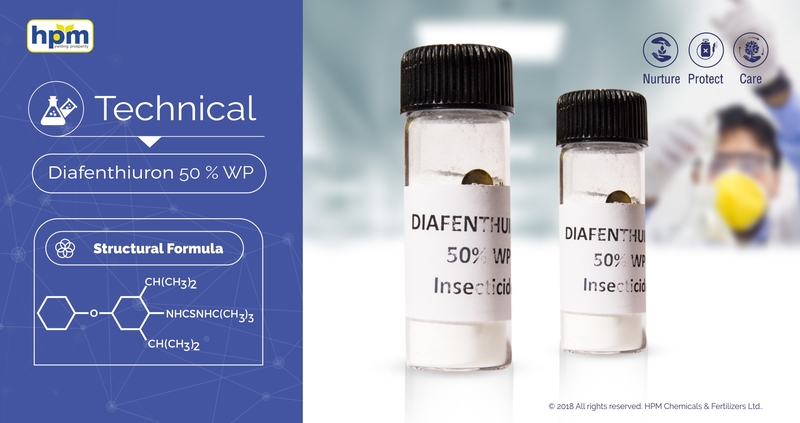 Difenthiuron 50% WP is a broad Spectrum insecticide. It paralyses the pest, which remain immobile on the crop until death in about 3-4 days. Insecticide and acaricide which kills larva, nymph and adult by contact and stomach action. Diafenthiuron is a pro-insecticide, which has first to be converted to its active form. The activecompound then acts on a specific part of the energy-producing enzymes in the mitochondria. This results in immediate paralysis of the pest after intake or contact with the product. Insecticide and acaricide which kills larvae, nymph and adult by contact and/or stomach action; also shows some ovicidal action. It is a broad Spectrum insecticide. 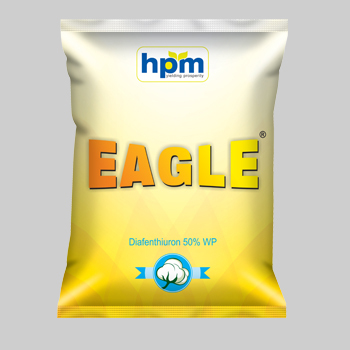 It is effective against phytophagous mites. It controls pests on lower-leaf. Reproduction stops immediately after feeding. Highly toxic to fish and it is highly toxic to aquatic invertebrates Daphnia,magna as well. It is toxic to bees.